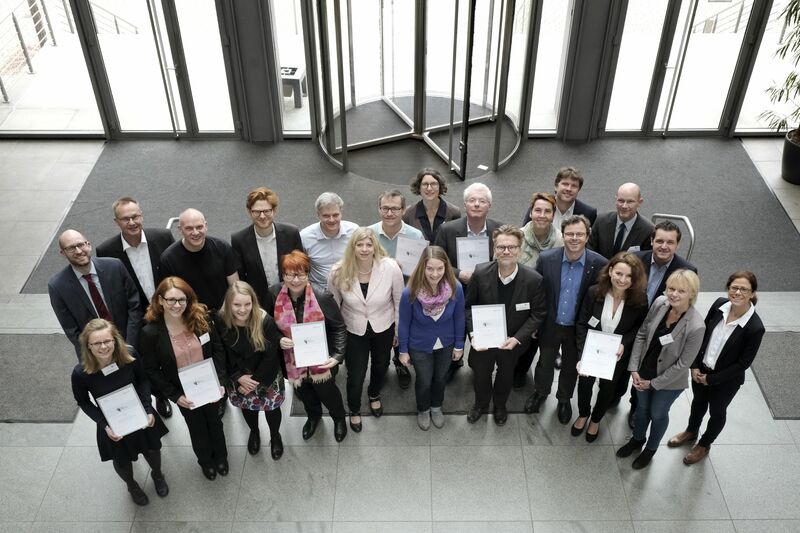 On the initiative of Xaver Jung, the Bundestag Delegate at that time, we applied - together with several partners from the science region of Kaiserslautern - as participants of the "MINT-Förderwettbewerb” [MINT Funding Competition] by the end of 2016. The funding competition of the “Stifterverband” and the Körber Foundation was rewarded with 30,000 euros. With the MINT Funding Competition, the state of the Rhineland Palatinate supports the formation of regional networks that contribute to inspiring children, young people and adults for Mathematics, IT, Natural sciences and Technology. In February 2017, we were honored as one of seven "MINT Plus Regions" nationwide - with the goal of making the MINT offerings at the science region of Kaiserslautern more transparent and increasing their popularity. On our behalf, Ms. Silke Steinbach first took an inventory of the MINT offerings and initiated a more intensive exchange within the MINT promotion area. At the beginning of 2018, together with the Körber Foundation, we hosted a nationwide MINT conference in Kaiserslautern. In mid-2018, a cooperation agreement between several partners was finally signed, which was intended to offer a perspective beyond the end of the funding period. Since then, the Science & Innovation Alliance Kaiserslautern has been in charge of the further development of the student research network.